Mario Beauregard, PhD., is a neuroscientist currently affiliated with the Department of Psychology, University of Arizona. He has received a bachelor degree in psychology and a doctorate degree in neuroscience from the University of Montreal. He has also underwent postdoctoral fellowships at the University of Texas Medical School (Houston) and the Montreal Neurological Institute (MNI), McGill University. Dr. Beauregard is the author of more than 100 publications (articles, essays, book chapters) in neuroscience, psychology, and psychiatry. He was the first neuroscientist to use neuroimaging to investigate the neural underpinnings of voluntary control in relation to emotion. 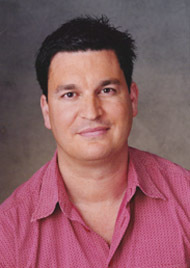 Because of his research into the neuroscience of consciousness, he was selected (2000) by the World Media Net to be one of the “One Hundred Pioneers of the 21st Century.” In addition, his groundbreaking research on the neurobiology of spiritual experiences has received international media coverage, and a documentary film has been produced about his work (The Mystical Brain, 2007). Dr. Beauregard has appeared over several radio programs in the U.S.A., Canada, and Europe, Asia, and Australia. His research has been featured on TV (Discovery Channel) and in many newspapers and magazines, including Nature, Science, The New Scientist, Scientific American Mind, and The Economist. He has received a number of distinctions, including the Joel F. Lubar Award (International Society for Neuronal Regulation, USA) and the Spectrum Award (The Institutes for the Achievement of Human Potential, USA). Being also an author, Dr. Beauregard has published The Spiritual Brain (Harper Collins, 2007) and Brain Wars (Harper Collins, 2012). In these books, he demonstrates that mind and consciousness are much more than the activity of nerve cells in our brains. 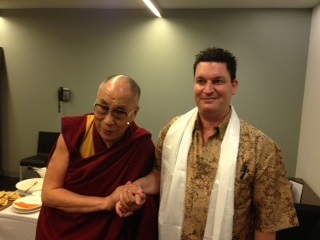 In 2013, Dr. Beauregard has participated in a dialogue with the Dalai Lama in regard to the science of mind (Melbourne, Australia). He actively contributes to the articulation of the new post-materialist scientific paradigm. Co-author of the Manifesto for a Post-Materialist Science, Dr. Beauregard is also the author of the Theory of Psychelementarity and one of the founders of the Campaign for Open Science.